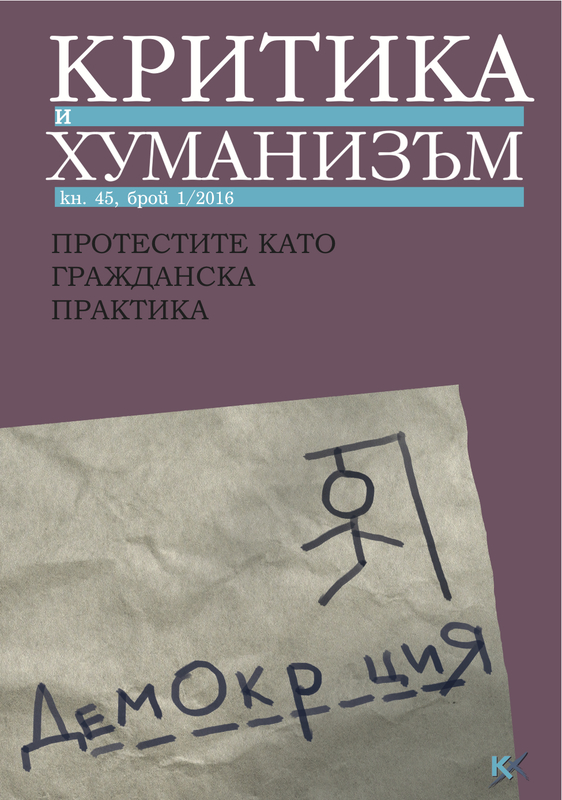 *This issue is available in Bulgarian language. This article examines the pro-Kremlin youth movement Nashi (2005-2012) – the hitherto largest youth organization since the Soviet-era Komsomol – in order to elucidate the background of changes that have appeared in the Kremlin’s symbolic politics since 2012. Nashi’s disappearance from Russia’s political scene by the summer of 2012 can be seen as an elementary part of the crisis that the Kremlin faced with the large scale protests that shook Russia’s major cities in the winter of 2011/2012. However, Nashi’s negative image did not fi rst appear in Russia with Putin’s decreased popularity and the beginning of the large-scale protests; rather, such a negative image has been manifested throughout the existence of pro-Kremlin youth formations supporting Putin’s political leadership, before and after Nashi. Rather than demonstrating a well-planned and calculated insistence on patriotism and moral conservatism, the history of the whole pro-Putin youth movement indicates that it has continuously struggled with its public image ever since its idol, President Putin, appeared in Russia’s political arena. By focusing on Nashi’s online writings as its major voice, the author exemplifi es the basic and unsolved dilemma of governmental mobilization – the tension between didactics and stimulation – that is crystallized in the movement’s political communication. After that, in a short excursion on Nashi’s successor, the project Set’, the author’s aim is to pinpoint how the ‘exit’ from Nashi’s communicative dilemma, in line with the Kremlin’s symbolic politics since 2012, appears as a proliferation of Putin’s personality. Jussi Lassila works as a postdoctoral researcher at the Aleksanteri Institute, Finnish Centre for Russian and Eastern European Studies, University of Helsinki. He defended his PhD on the political communication of pro-Kremlin youth movements at the University of Jyväskylä in 2011. His book The Quest for an Ideal Youth in Putin’s Russia II: The Search for Distinctive Conformism in the Political Communication of Nashi, 2005 2009 was published in 2012 (second, revised and expanded edition in 2014). In 2010 2013 Lassila worked on the international research project Memory at War, focusing on manifestations and usage of the Great Patriotic War in the Putin-era public discussion in Russia. Since August 2013, he has been working on a research project titled Regimes, Institutions and Change: Politics and Governance in Russia in a Comparative Perspective, focused on populism and relationships between ideas and political institutions in contemporary Russian politics. His core areas of expertise are discourse analysis, identity politics, and political communication in post-Soviet space. He has published in the journals Europe-Asia Studies, Demokratizatsiia, Canadian Slavonic Papers, Forum noveishei vostochnoevropeiskoi istorii i kul’tury, Idäntutkimus (Finnish Review of East European Studies) as well as in numerous collected volumes. A complete list of his publications and other academic activities is available at http:// blogs.helsinki.fi /jplassil/. This article explores the role of students as actors during protests in Ukraine. It focuses primarily on the 2013-2014 Euromaidan revolution, but uses a broader historical context and comparison with the so-called Revolution on Granite in 1990 and the Orange Revolution in 2004. While it demonstrates that students were on the forefront of all three major upheavals, the article underlines the key differences between the three ‘revolutions’. The Euromaidan protests and the ensuing Revolution of Dignity are chronicled and subsequently analysed from the point of view of students’ actions. The article examines why students were not able to leave their mark, even though they had in fact spearheaded the protests. It points to the absence of a clear set of demands, the ambiguous role played by new social media, and the lack of organizational structures within the student movement. More so, the article concludes that though there were certainly similarities between Euromaidan and the other protest movements in the so-called global protest wave since 2008, it was foremost the experience of previous maidans that framed the protests in Ukraine. Tom Junes holds a PhD in History (KU Leuven) and is a member of the Human and Social Studies Foundation in Sofi a. As a postdoctoral researcher he has held fellowships in Warsaw, Vienna, Budapest, Helsinki, Potsdam, and most recently in Jena at the Imre Kertész Kolleg. His research interests cover Eastern European history, African history, Cold War history, and the history of youth and student movements. He is the author of Student Politics in Communist Poland: Generations of Consent and Dissent (2015). Other recent publications include ‘An Unruly Younger Generation? Student Protest and the Macedonian Crisis’ (Political Critique, 25 March 2016); ‘Facing the Music: How the Foundations of Socialism Were Rocked in Communist Poland’ (in Youth and Rock in the Soviet Bloc: Youth Cultures, Music and the State in Russia and Eastern Europe, 2014); and ‘Between Political and Apolitical: Youth Counter-culture in Communist Poland’ (Critique & Humanism 43/2014; in Bulgarian). This article aims to analyze the Bulgarian student occupations in 2013 in terms of two different rationalities – instrumental rationality and value rationality – which were referred to respectively by the opponents and the supporters of the protests in order to justify their account of them. The analysis elaborates a typology of the anti-protest rhetoric, distinguishing three main types: the first insisted on the opposition between ‘moral’ and ‘social’, and criticized the protests as being based on an ‘abstract’ and ‘hazy’ moralism; the second treated the protests as a direct or indirect expression of private interests; the third claimed the protests were just a means to a particular end, be it that of the oligarchy or of the protesters themselves. The final part of the article argues against these instrumentalist approaches to the protests of Bulgarian students and introduces another perspective, suggested by Albert Hirschman in his analysis of the meaning of collective public action. According to Hirschman, public action should not be evaluated on the basis of its immediate results, because its value consists in the very act of protesting which educates and constitutes citizens as a critical civic community. Keywords: student occupations, instrumental rationality, value rationality, civic protests, public action. Boyan Znepolski is Associate Professor at the Department of Sociology, Sofia University “St. Kliment Ohridski”. He is the author of the monographs (in Bulgarian) The Limits of the Subject (2007) and Hermeneutic Paradigms (2004), and a member of the Editorial Board of Critique & Humanism. He is editor of “People” and “Civil Society” as Resources of Democracy (Critique & Humanism 41/2013) and co-editor (with Dimitar Vatsov) of Rethinking Democracy. Power and Resistance (Critique & Humanism 38/2012). On December 12, 2013, Liza Shaposhnik, a volunteer at Kyiv’s EuroMaidan, was interviewed by Radio Svoboda. “I came to Maidan to stand up for my rights”, she said. “The European Union is, for us, a chance to live well, to have a normal life”. This phrase, ‘to have a normal life’, was often invoked by EuroMaidan activists as they elaborated for me the broad goals they held for themselves and their country. This conscious push away from Soviet social paradigms towards a national community that embraces European values (and the ‘normal life’ these values are believed to engender) was a central tenet of the ‘declaration of dignity’ that the EuroMaidan protests embodied. During the protests, I was in Ukraine conducting research on the use of methadone maintenance therapy for chronic opiate users. In interviews with methadone patients, most of whom called themselves ‘addicts’, many portrayed their motivations for starting treatment in similar terms: they want to live like normal people. By comparing the social inclusion of Liza to the social exclusion of drug users at EuroMaidan, this is paper explores the discursive enactment of ‘dignity’ in Ukraine. By considering how and why some Ukrainians are integrated and afforded meaningful personhood in the Maidan, while others are de-humanized, stripped of subjectivity, and excluded from the new society that EuroMaidan represented, it follows these acts of boundary maintenance down to their ideological foundation, suggesting that the praxis of dignity post-Maidan Ukraine is not only a rejection of state corruption and violence, but also a potent form of bio-power, a social reckoning and policing of individuals’ inner psychological states. Jennifer J. Carroll, PhD, is a postdoctoral NIH research fellow at the Miriam Hospital in Providence, Rhode Island, and an affiliated researcher at the Warren Alpert Medical School of Brown University. She is a medical anthropologist who studies the cultural and behavioral factors shaping human psychology and wellbeing. Her research focuses especially on the lived experience of drug use as well as the structural and cultural forces that shape human decisions around drug use, health care, and the strategies that people use to chemically manage their own bodies. Her latest relevant publications are “For Lack of Wanting – Discourses of Desire in Ukrainian Substitution Therapy Programs” (Transcultural Psychiatry, 2015) and “This is Not About Europe – Reflections of Kyiv’s EuroMaidan” (Perspectives on Europe 44/201 4). This paper provides a fi rst empirical investigation and tentative political contextualization of one of the earliest and most important irregular paramilitary formations of post revolutionary Ukraine in 2014. It discusses the rise of the Ukrainian far right after 1991, and surveys briefly the emergence of volunteer battalions in 2014. It focuses on some of the exceptional traits in the prehistory and creation of the ‘Azov’ battalion founded by a group of neo-Nazi activists from the organization Social-National Assembly/Patriot of Ukraine. It details, in particular, some strange aspects of the cooperation between the ‘Azov’ founders and the political provocateur Dmytro Korchinskiy as well as the infamous populist Oleh Liashko. It characterizes ‘Azov’ as an altogether untypical volunteer unit in post-Maidan Ukraine in terms of the past and the ideology of its founders. However, the paper only touches upon some particularly intriguing issues in the emergence of this unit, and does not attempt to give an overall assessment of its nature as a political grouping as well as military foundation as it does not venture beyond the year 2014. Keywords: Ukraine, Russia, irregular armed groups, far right, neo-Nazism, Ukrainian nationalism, Euromaidan, post-Soviet politics, Russian-Ukrainian war, radical right. Andreas Umland, CertTransl (Leipzig), AM (Stanford), MPhil (Oxford), DipPolSci, DrPhil (FU Berlin), PhD (Cambridge), has held fellowships or lectureships at the Stanford University, Harvard University, University of Oxford, Urals State University, Shevchenko University of Kyiv, Catholic University of Eichstaett, and Kyiv-Mohyla Academy. Since 2014, he has been Senior Research Fellow at the Institute for Euro-Atlantic Cooperation, Kyiv. He is a participant in the Valdai Discussion Club, member of the Academic Advisory Council of the European Integration Committee of the Parliament of Ukraine, co-editor of the web journal Forum noveishei vostochnoevropeiskoi istorii i kul’tury and general editor of the book series “Soviet and Post-Soviet Politics and Society” at Ibidem-Verlag. Tetiana Bezruk holds an MA in Political Sciense (National University of Kyiv- Mohyla Academy), and is an analyst at the Congress of National Communities of Ukraine. Her latest relevant publications are: “The Euromaidan Revolution of Ukraine’s Political Right and the Left: Field Notes from Downtown Kyiv” (Searchlight Magazine, 2014); “По одну сторону баррикад: наблюдения о радикальных правых и левых на киевском Евромайдане” (Форум новейшей восточноевропейской истории и культуры 10/2013); “Es gab keinen ‘rechten Maidan’ in der Ukraine” (Wostok Verlag 2-3/2014); “Der Fall Azov: Freiwilligenbataillone in der Ukraine” (OstEuropa 1-2/2015). For several months in 2013-2014, thousands of Ukrainians and Bulgarians participated in anti-government protests. However, the outcomes could not be more different. The Bulgarian government politically survived #DANSwithme, while Euromaidan precipitated President Yanukovych’s fl ight from Ukraine in late February 2014. Why did #DANSwithme gradually dissipate, while Euromaidan escalated into the worst episode of political violence since Ukraine’s independence? We know that medium levels of repression applied inconsistently during protests can lead to radicalization and violence. But we do not know whether the judiciary’s behaviour before and during the protests could affect the likelihood of an escalation towards violence. This article proposes a complementary explanation of protest radicalization, which posits that recent, unambiguous, and effective use of a pliable judiciary by political incumbents to punish and undermine the opposition raises the odds that both sides will engage in violence. Politicized selective justice raises the stakes of victory both for the government and for the protesters, and reduces the possibility of a compromise. In Bulgaria, where the judiciary, albeit politicized, has not been effectively used to undermine political opponents, protesters perceived the government’s attempts to engage in legal persecution as a hassle and the chances of imprisonment as remote. Neither should the Oresharski government have expected to be prosecuted in the event of losing office. In Ukraine, by contrast, the judiciary had a clear recent track record of politicized selective justice both against protest participants and high-level politicians. Former PM Yuliya Tymoshenko and another Orange Revolution main actor and former minister of interior, Yuriy Lutsenko, served lengthy prison sentences. Consequently, both the leaders of the opposition and Yanukovych and his coterie probably expected that imprisonment would be inevitable if they did not come out as winners of the Euromaidan standoff. Maria Popova, PhD in Government (Harvard University), is Associate Professor of Political Science at McGill University, Montreal, Canada. She is also a faculty associate of the European Union Center of Excellence (EUCE) and the Institute for the Study of International Development (ISID) at McGill. She is the author of Politicized Justice in Emerging Democracies: A Study of Courts in Russia and Ukraine (2012), the winner of the 2012-2013 American Association for Ukrainian Studies prize for best book in the fields of Ukrainian history, politics, language, literature, and culture. Her latest relevant publications are: ‘Ukraine’s Politicized Courts’ (in Beyond the Euromaidan: Comparative Perspectives for Advancing Reform in Ukraine, 2016); ‘Why the Orange Revolution Was Short and Peaceful and Euromaidan Long and Violent’ (Problems of Post-Communism 61:6/2014); and ‘Why Doesn’t the Bulgarian Judiciary Prosecute Corruption?’ (Problems of Post-Communism 59:5/2012). Her research focuses on judicial independence, the rule of law, and corruption in the post-communist region. With the new frozen confl ict in the separatist region of Donbas, the popular discourse about Ukraine as a ‘divided nation’ looks like a self-fulfilling prophecy. This discourse juxtaposes the Ukrainian-speaking pro-European west and the pro-Russian, Soviet nostalgic east as two historical and cultural entities, informed by confl icting collective memories and antagonistic identities, that have little chance of coexisting peacefully as a united country. The armed confl ict in the east of the country appears now as a logical outcome of this deep cultural and political division of the Ukrainian nation. This article attempts to break the vicious circle of Ukrainian debates on national identity and seeks to reconsider the role of identity politics in the current Ukrainian crisis. It shows how Ukraine’s divided political elite has used identity politics as a tool for mass mobilization, and how Russia has profi ted from the ‘war of identities’ in its efforts to prevent the country’s orientation to Europe. The article also outlines the main shifts in collective identities after Maidan and the annexation of Crimea, and the dilemmas of a new identity politics. Tatiana Zhurzhenko, PhD in Social Philosophy (V.N. Karazin Kharkiv National University, 1993), is Research Director of the Russia in Global Dialogue and Ukraine in European Dialogue programs at the Institute for Human Sciences (IWM) in Vienna, Austria. She also teaches Ukrainian Politics at the University of Vienna. She is the author of the following books: Borderlands into Bordered Lands: Geopolitics of Identity in Post-Soviet Ukraine (2010); Gendered Markets of Ukraine: Political Economy of Nation Building (2008; in Russian); Social Reproduction and Gender Politics in Ukraine (2001; in Russian). Her latest relevant publications include: “Erinnerungskriege: Denkmalspolitik im postsowjetischen Char’kiv” (Osteuropa 4/2015); “Maidan – Die unerwartete Revolution” (Transit – Europäische Revue 45/2014, guest editor). Her research interests are in the fields of borders and borderland identities, memory politics, gender and feminism in Ukraine. The article outlines the politics of memory towards the Soviet past in Ukraine in 1991 2015 and shows the origins of present-day ideological debates, political decisions and historiographic controversies. Two competing historical narratives – nationalistic and late (neo)Soviet – co-exist in popular perceptions and state politics of history in Ukraine. Both of them are eagerly instrumentalized by politicians throughout the post-Soviet period of one of the most diverse, pluralistic and ambivalent countries in Eastern Europe. The Euromaidan, the Russian annexation of Crimea and the war in the Donbass region actualized the problems in the attitude towards the complex Soviet past of Ukraine. The victimhood narrative, the removal of Lenin statues, the adoption of the so called ‘decommunisation’ laws and the prohibition of the Communist Party in Ukraine posed numerous questions about the limits of state’s interference into memory and history issues, the correlation between anti-Soviet and anti-Russian political claims, and the future of the regional diversity of Ukraine. The author argues that Ukraine’s diversity does not imply its underdevelopment or a hopeless division into ‘Russian’ and ‘Ukrainian’ parts. He shows also that the ‘Soviet’ label serves as the foremost ‘Other’ in the post-Maidan mainstream political discourse. Andrii Portnov, PhD in History (Ivan Krypiakevych Institute of Ukrainian Studies, Lviv), MA in History (Dnipropetrovsk University) and Cultural Studies (University of Warsaw), is Long-Term Fellow at the Forum Transregionale Studien (Berlin), Director of the Berlin Brandenburg Ukrainian Initiative and Guest Professor at the Humboldt University of Berlin. He is also Editor-in-chief of Historians.in.ua web-portal. He is the author of the following books: Histories for Home Use. The Polish-Russian-Ukrainian Triangle of Memory (2013; in Ukrainian; awarded Yuri Shevelov Prize); Historians and their Histories. The Faces and Images of Ukrainian Historiography in the 20th century (2011; in Ukrainian); Ukrainian Exercises with History (2010; in Russian); Scholarship in Exile. The Scholarly Activity of Ukrainian Emigration in inter-war Poland 1919 – 1939 (2008; in Ukrainian; awarded Jerzy Giedroyc Prize). Currently he works on the biography of the city of Dnipropetrovsk. This article concentrates on the phenomenon of Russophilia in Greece and situates it within the context of national populism. Numerous political analysts and journalists have not examined Russophilia in Greece as a component of a national populism which cuts across the traditional ‘left-right’ spectrum. This research is very topical at a time when Russia is emerging as a competitor to the EU and the Kremlin is searching for political allies throughout Central and Southeast Europe. This study demonstrates that the foundations of public Russophilia in Greece are feebler than many external commentators tend to estimate. A rather ahistorical and almost ‘Messianic’ notion of Russophilia interweaves with national populism in the light of the dispute with the EU and Germany over the management of the economic crisis. Vassilis Petsinis, PhD in Russian and East European Studies (University of Birmingham, UK), is Visiting Researcher at the Centre for Baltic Studies – Department of Political Science at Tartu University, and Political Advisor at the European Commission’s representation in Athens. Among his recent publications are “The ‘New’ Far Right in Hungary: A Political Psychologist’s Perspective” (Journal of Contemporary European Studies, 2015); “Ethnic Relations, the EU, and Geopolitical Implications: The Cases of Croatia and Estonia” (Ethnopolitics, 2015); “The Management and Distribution of the Structural Funds in Slovakia: A Critical Enquiry” (European Structural and Investment Funds Journal, 2014); and “Eurasianism and the Far Right in Central and Southeast Europe” (Central and Eastern European Review, 2014). Today once again we should treat Russia as a black box. This is argued on the basis of the author’s personal encounters in Moscow and explained through a text by Ivan Ilyin. The roots of Russia’s return to political realism in foreign affairs are traced back to War and Peace by Tolstoy. An attempt is made to turn Blackbox Russia into a white box by analyzing the development of the Russian elite since the beginning of modern education, and tensions between the intelligentsia and the civil servants in the last two centuries. Russia’s perspectives to produce better governance in the near future are evaluated. Deyan Kiuranov, PhD, is Program Director for Political Research at the Center for Liberal Strategies, Sofi a. Selected publications: “Bulgariens Nationalismus wird uebershaetzt” (Europaeische Rundschau 3/2013); Think Tanks at a Crossroad: Shifting Paradigms and Policy Dilemmas (сo-author; 2013); The Roma Woman and Domestic Violence (co-author; 2003; in Bulgarian); “Political Aspects in the Thinking and Behaviour of the Jewish Community in Postcommunist Bulgaria” (in Jews in the Bulgarian Lands; 2001). The paper explains the motivations behind radical Islamism and the recruitment to engage in jihadist terrorism. More precisely, it outlines the common patterns which define the process of Islamic radicalization in western European societies. The paper argues that Islamic radicalization must be understood as an individual phenomenon and not a problem afflicting Muslim communities more systemically. Moreover, the phenomenon is distinctly youthful in form. In sum, the paper demonstrates that radicalization is a youth revolt against society articulated on an Islamic religious narrative of jihad. It is not the uprising of a Muslim community victim of poverty and racism: only young people join, including converts who did not share the ‘sufferings’ of Muslims in Europe. These rebels without a cause find in jihad a ‘noble’ and global cause, and are consequently instrumentalized by a radical organization (Al Qaeda, ISIS) that has a strategic agenda. The paper concludes by outlining a general strategy to counter radicalization and the recruitment for jihadi terrorism. The priority, beyond building a more sophisticated intelligence system, is to debunk the narrative of heroism, to break the ‘success story’ of ISIS as being invincible (including on the ground) and to let Islam in Europe appear as a ‘normal’ religion. The aim is to accentuate the estrangement of radicals from the Muslim population and to dry up the narrative of Islam as the religion of the oppressed. Olivier Roy is currently joint-chair at the RSCAS and SPS department of the European University Institute in Florence. Previously he has been senior researcher at the French CNRS and Professor at the EHESS (Paris). He headed the OSCE’s Mission for Tajikistan (1993-1994) and was a Consultant for the UN Office of the Coordinator for Afghanistan (1988). He has been heading the ERC funded project “ReligioWest” since 2011. His fieldwork includes Political Islam, Middle East, Islam in the West and comparative religions. He has received an “Agrégation de Philosophie” (1972) and a PhD in Political Sciences. In 2008-2009, he was a visiting Professor at Berkeley University. He is the author, among other books, of Globalized Islam (2004 and Holy Ignorance (2010). His latest book is En Quête de l’Orient perdu (2014). This article is an attempt at a sociological reconstruction of the refugee’s social situation – the radical historical metamorphosis of the figure of the ‘stranger’ in the 20th century. The analysis focuses on the figure of the refugee аs an absolute form of alienation (as a result of exclusion) from the social world. The first step reproduces the key moments of Georg Simmel’s study on the “sociological form of the stranger as a synthesis between remoteness and closeness”. The second step traces out the constitutive elements in Alfred Schutz’s conception of “the stranger as an adult individual of our time and civilization, who tries to be permanently accepted or at least tolerated by a group which he approaches”. The third step, through the analytical strategies of Hannah Arendt and Giorgio Agamben, represents an endeavor to restore the historical conditions of possibility of the figure of the refugee: as a ‘boundary-concept’ which puts in question such fundamental categories as those of the nation-state, the social link between birth and nation as well as between human and citizen. Such a reconstruction promises to liberate an interpretative field for categorical reactivation aiming at consistent politics where the refugee question will not be separated and excluded from the structure of the national state order, or from the logic of human rights. Nor will the refugee be an exile among insoluble ethical problems. Martin Kanoushev is Associate Professor at the Department “Philosophy and Sociology”, New Bulgarian University, Sofia. He teaches Sociology of Power, Knowledge, Law and Medicine, and is the author of books and papers in sociology, among them the three volume Historical Sociology of the Punitive Politics in Bulgaria (in Bulgarian). He is Manuscript Editor of Critique and Humanism journal and member of the Editorial Board of Sociological Problems journal. This article examines the uprisings since 2011 through a global lens. It focuses on a form that has become common to all: the continuous occupation of public space. Beginning in 2011, people from all walks of life came to the central squares of the world’s cities and formed various semi-permanent sites of protest. The article assesses the historical lineage and significance of these public occupations and discusses their impact for our understandings of revolution, democracy, and their interrelation. What happened during these uprisings, how the people who were present took part in them, offers a radically different version of democracy, in theory and practice, from the liberal representative one that has become hegemonic today. This article will underscore how this alternate vision of a democratic society is intimately tied to a new form of contentious politics, one predicated on occupation and arrest rather than movement and dispersal. To do so, it highlights how these uprisings have called into question two assumptions common to the liberal understanding of contemporary politics: the association between democracy and representative government; and the association between social struggle and the category of movement. In this context, the article challenges the continued use of the term social movement to define contentious political struggle in the 21st century and makes the case for a theory and practice of social arrest. It argues that a politics of social arrest has come to define the globa occupations of public space since 2011, a politics that has turned these spaces into immanent sites of democratic self-institution. Mehmet Döşemeci, PhD in History (Columbia University), is Assistant Professor of History at Bucknell University. He has authored Debating Turkish Modernity: Civilization, Nationalism and the EEC (2013). His current project examines the kinetics of social struggle in the modern period, questioning why we have come to associate struggle with movement and the consequences and costs of doing so. His research interests are in the fields of European and Middle Eastern history, political theory, labor and the new left. The paper briefly compares protests in Bulgaria in the early 1990s and in the post-EU accession period stating that they significantly differ in their affinity for and representations of sovereignty and democracy. While the former pleaded for democratization without challenging the nation-state frame of sovereignty, the latter raised urgently the question of reframing. Paradoxically, the vocabulary of this challenge is the critique of alienation turned into a structure of corporate subjection. This sheds some light on the ‘negativity’ of contemporary protests, their aspiration to devalue power and to oppose democracy to politics, and, in short, their ambivalence. Milena Iakimova is Associate Professor at the Department of Sociology, Sofia University “St. Kliment Ohridski”, and a member of the Editorial Board of Critique & Humanism. She is the author of the monograph Sofia of the Common People (With a Tarikat Slang-Bulgarian Dictionary) (2010; in Bulgarian). Fields of interest: urban studies, social theory and pragmatism, qualitative research methods. In What Society Do We Live? The Society of Weber or the Society of Durkheim? Vincent Descombes is Professor of philosophy at the School for Advanced Studies in the Social Sciences in Paris (EHESS – Paris). He has taught also at the University of Nice, the University of Montreal, the Sorbonne, the American unversities Johns Hopkins (Baltimore) and Emory (Atlanta). His publications include: Modern French Philosopy (1980), The Mind’s Povisions: A Critique of Cognitivism (2010), The Institutions of Meaning: A Defense of Anthrpological Holism (2014), Puzzling Identities (2016). His book Le complément de sujet (2004) has been awarded the Big Prize for philosophy of the French Academy. The Vicissitudes of Objectivity and the Illusions of Transcendentalism Review of: Popov, S., 2015, OBIECTUM PURUM. Dimitar Vatsov, PhD in Philosophy (Sofia University “St. Kliment Ohridski”), is Associate Professor of Philosophy at New Bulgarian University, Sofia. He is Editor-in-Chief of Critique & Humanism journal and President of the Human and Social Studies Foundation – Sofia. He is the author of the following books (in Bulgarian): This is True! (2016, forthcoming), Essays on Power and Truth (2009); Freedom and Recognition: The Interactive Sources of Identity (2006); Ontology of Affirmation: Nietzsche as a Task (2003). His research interests are in the fields of political philosophy, especially critical theory, and post-analytic philosophy of language.